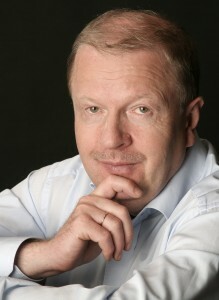 Kalle Randalu, Neeme Järvi (© Andris Pozarskis). NB! Date changed! The concert will take place on Thursday, 25th April, 2019. Kalle Randalu, who is considered an extraordinary performer of Mozart, will play two Romantic piano concertos during the 2018/19 season with ENSO – at the beginning of the season, he will perform Grieg, and in spring, Schumann. Randalu has won awards at prestigious competitions, including the first place at the ARD competition in Munich (1985), as well as laureates from the Schumann Competition in Zwickau (1981) and the Tchaikovsky Competition in Moscow (1982). 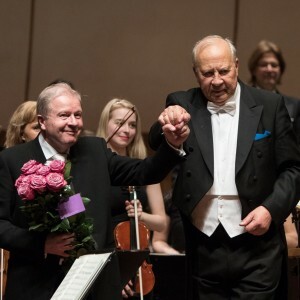 Neeme Järvi, Kalle Randalu, and ENSO recently did an excellent job in recording all of Beethoven’s piano concertos under the company ERP. The solo in Rudolf Tobias’ impressionist ballad Sest Ilmaneitsist ilusast (Of the Beautiful Air Maiden) inspired by Kalevipoeg, which is very demanding for any soloist, will be performed by soprano Elina Nechayeva, who, immediately after her successful performance at Eurovision 2018, went on tour with ENSO and Neeme Järvi to Georgia and Armenia. In the second half of the concert, one of the most challenging and remarkable classical works, Beethoven’s Symphony No. 5 (also known as Fate), will be performed.